Grails 3.0's command line system differs greatly from previous versions of Grails and features APIs for invoking Gradle for build related tasks, as well as performing code generation. Profiles encapsulate the project commands, templates and plugins that are designed to work for a given profile. They are stored in the Grails Profile Repository on Github. 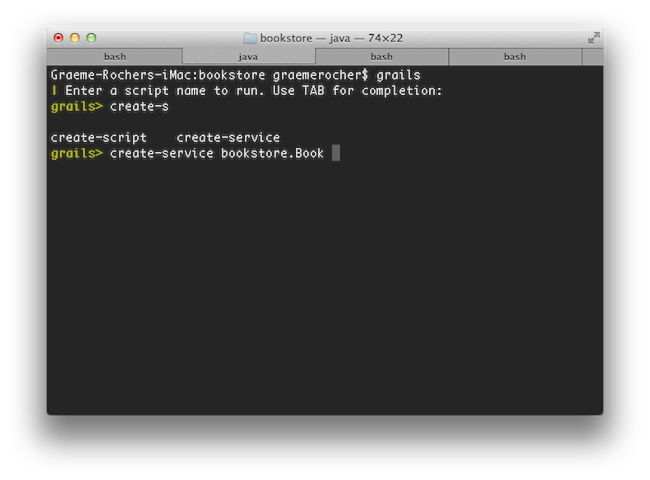 This repository is checked out locally and stored in the USER_HOME/.grails/repository directory. As you can see it contains the description of the profile and a definition of which profiles this profile extends, since one profile can extend from another. When the create-app command runs it takes the skeleton of the parent profiles and copies the skeletons into a new project structure. Child profiles overwrite files from the parent profile so if the parent defines a build.gradle then the child profile will override the parent. 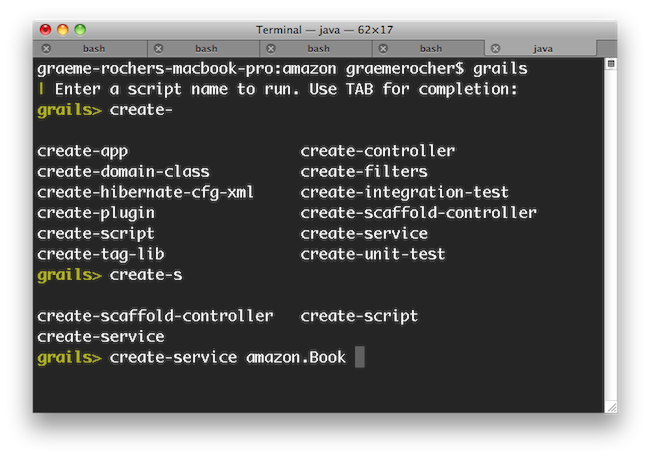 usage "grails create-script [SCRIPT NAME]"
For more information on creating Groovy commands see the following section on creating custom Grails scripts. 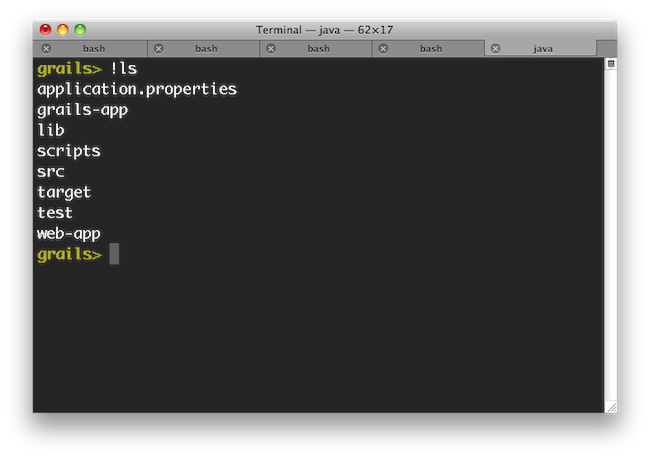 usage "grails generate-all [DOMAIN CLASS]"
Grails 3.0 uses the Gradle Build System for build related tasks such as compilation, runnings tests and producing binary distrubutions of your project. It is recommended to use Gradle 2.2 or above with Grails 3.0.
dependency-management - The dependency management plugin allows Gradle to read Maven BOM files that define the default dependency versions used by Grails. spring-boot - The Spring Boot Gradle plugin enhances the default packaging tasks provided by Gradle to allow for the creation of runnable JAR/WAR files. war - The WAR plugin changes the packaging so that Gradle creates as WAR file from you application. You can comment out this plugin if you wish to create only a runnable JAR file for standalone deployment. 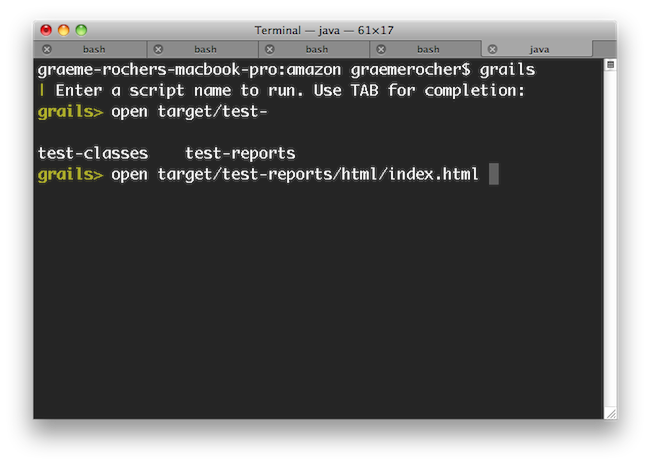 org.grails.grails-doc - A plugin for Gradle for using Grails 2.0's documentation engine.